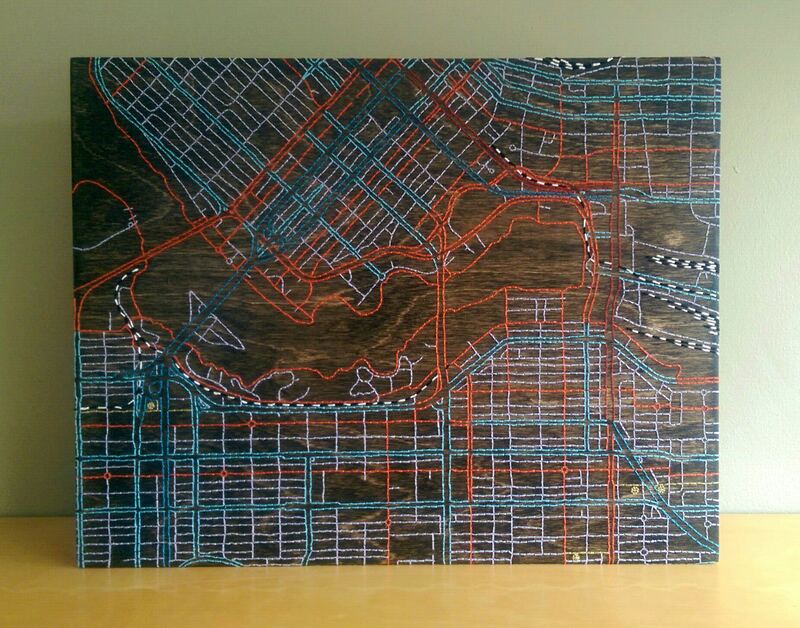 I did this Vancouver embroidered wood map (July 2014, 11″x14″x1.5″) for a super cool couple who had moved to Houston, Tx (if I remember correctly). 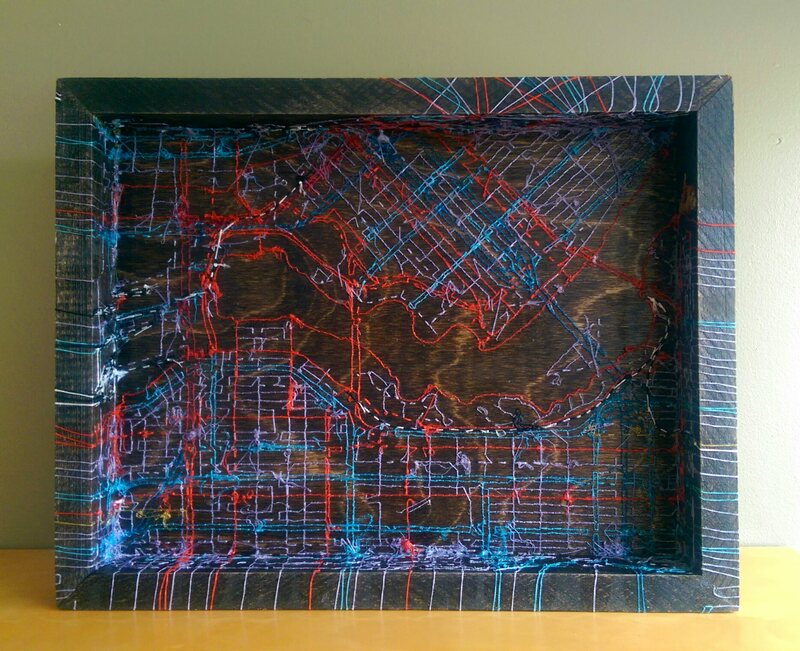 They wanted a piece that reminded them of their home, (and as avid cyclists) one that highlighted how bike-friendly Vancouver is. 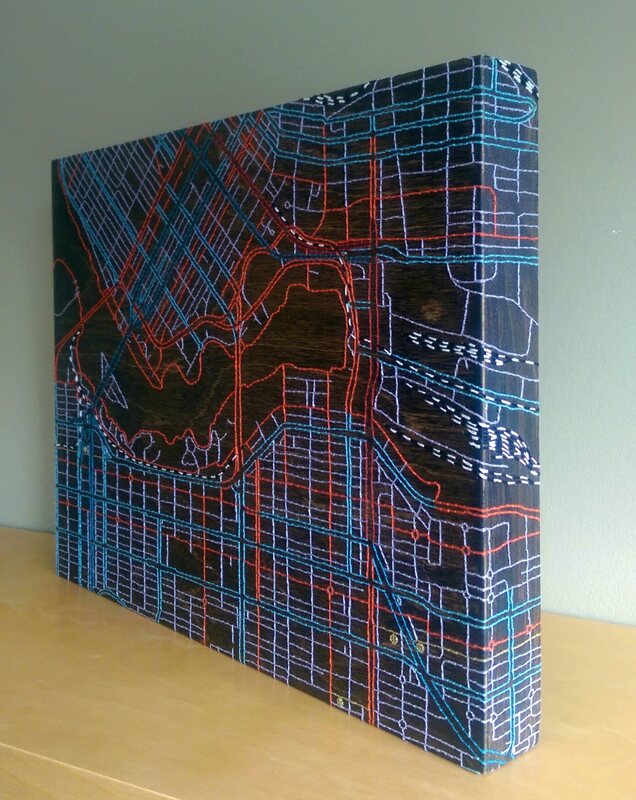 As a city cycler myself, I was ecstatic to stitch this guy! 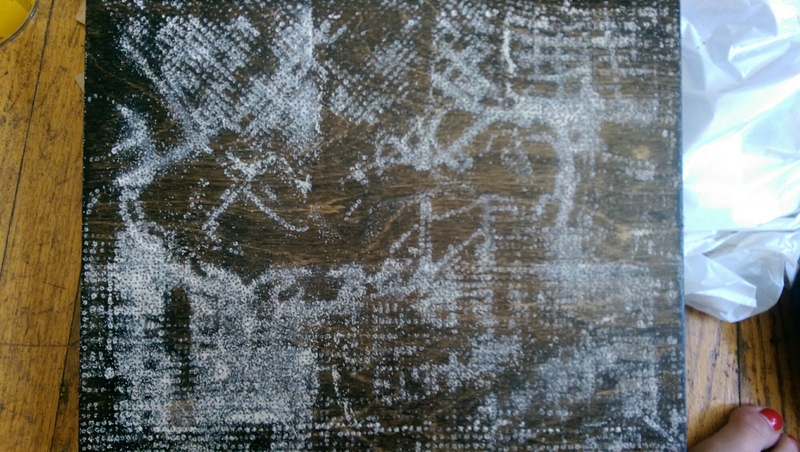 As you can imagine, it took forever, but I wanted a really dense, texturally rich map. 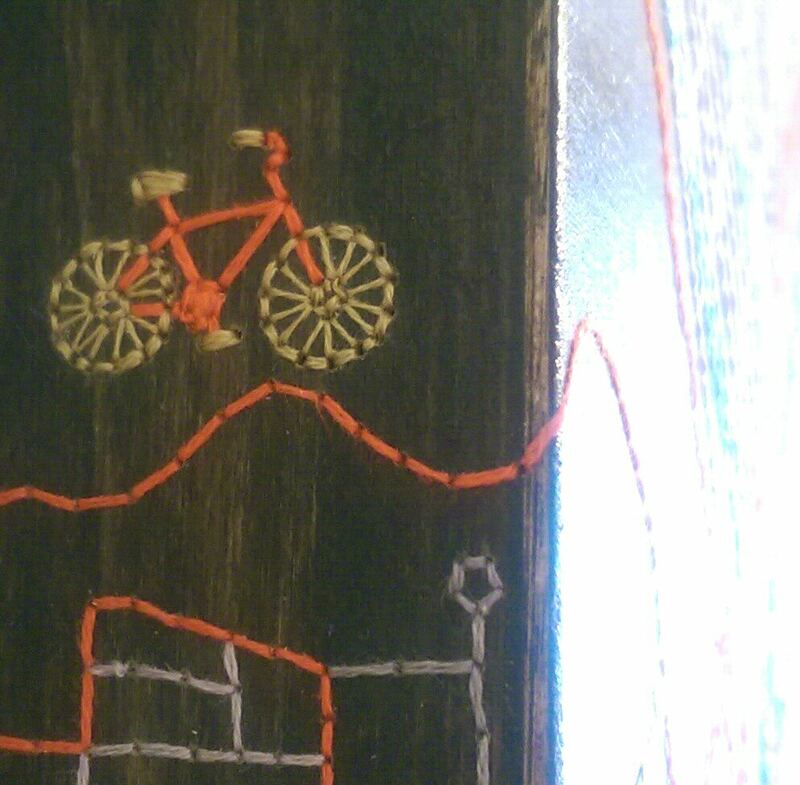 The bike lanes are stitched in orange, and of course, I had to sneak in a wee bike on the side.